Create a professional looking tan at home. The Chocolate Tanning Mousse will begin to activate immediately upon application. 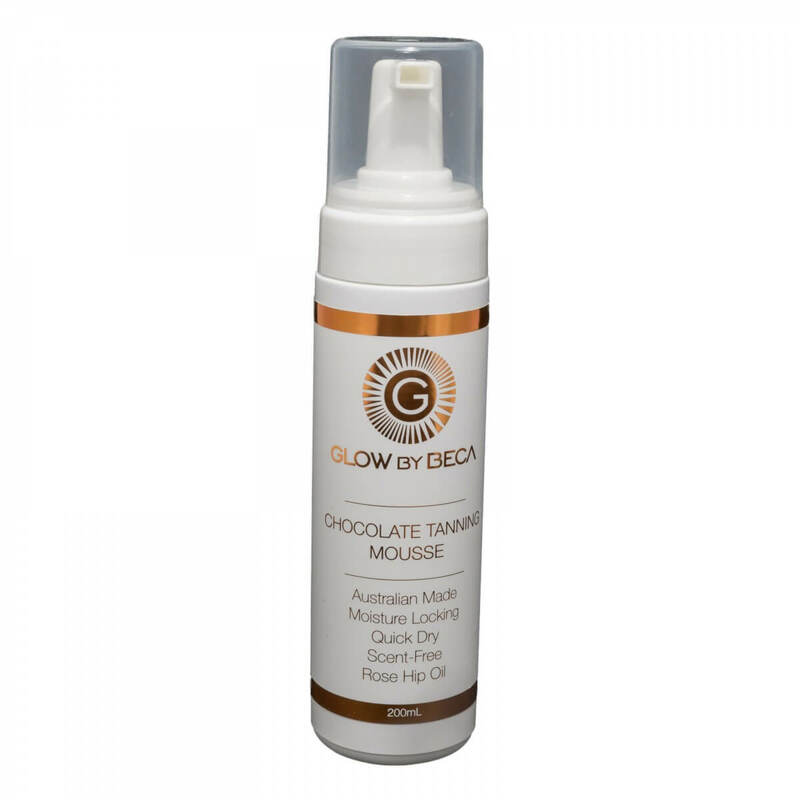 Easy to apply, light weight, streak free and self adjusting formula ensures a flawless chocolate brown tan. Full of hydrating ingredients and infused with antioxidants to nourish for a smooth healthy looking skin. Looking for soft, smooth glowing skin! 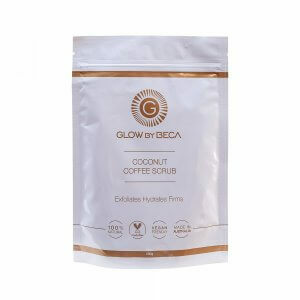 Our Coconut Coffee Body Scrub is an Australian made grounded coffee blend Combined with himalayn rock salt and coconut oil. Scrub away dry skin cells, firm and smooth out lumps and bumps while improving circulatio, texture and tone. 100% natural oils and antioxdants leaving your skin incredibly smooth and hydrated. Best used the day before your spray tan or applying your self tanning mousse. For optimal results apply to clean exfoliated skin. Leaving your hands and feet to last, pump the mousse onto your GlowByBeca mitt and gently sweep the foam across your skin in circular motions ensuring the body is evenly covered. 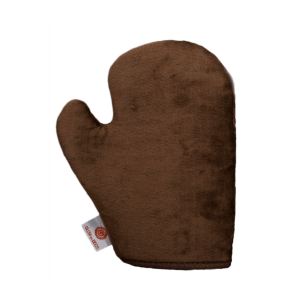 Use the excess on your tanning mitt for your hands and feet. Wash and wear in as little as 1 hour. The longer you leave it, the darker the tan will develop and the longer it will last. Suitable for face and body. I always recommend using my GlowByBeca mitt for a professional finish. I personally like to apply one coat of my Chocolate Tanning Mousse and wait until it’s dry then get ready to go out. However, be careful not to get wet! If you like a deeper tan apply one even coat before bed and shower in the morning! 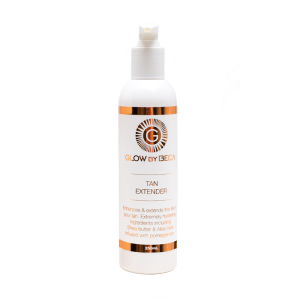 this should be below becas tips for both tan extender and tanning mousse.